An entirely militarised culture, the Spartans are truly a force to be reckoned with. However, despite Sparta’s command of Greek forces during the recent Greco-Persian Wars, and its noble sacrifice at Thermopylae, Athenai’s own victories have dramatically increased its prestige, and war with Persia is high on its agenda. 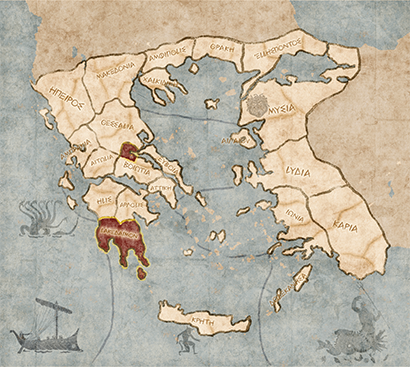 Although Sparta may not be sufficiently recovered to face the Persians, with allies such as Korinthos it could yet defeat Athenai and the Delian League states. 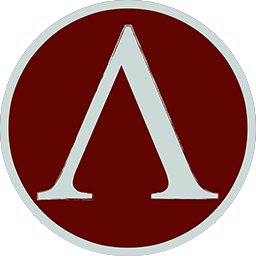 To do this, Sparta’s Peloponnesian League must achieve a decisive naval victory against Athenai and break the loyalty of its allies. This may not be straightforward, however; Spartan land forces may be supreme, but Athenai’s navy is undefeated, and for the Spartans – the ultimate warriors - intrigue and espionage leave a foul taste. The Agiads are descended from Eurysthenes, one of the Heracleidae. His son, Agis I, was the first of his line to co-rule Sparta alongside the Eurypontids. Procles - twin brother of Eurysthenes, from whom the Agiads claim descent - was also of the Heracleidae. His son, Eurypon, founded the Eurypontid dynasty of Spartan co-rulers.